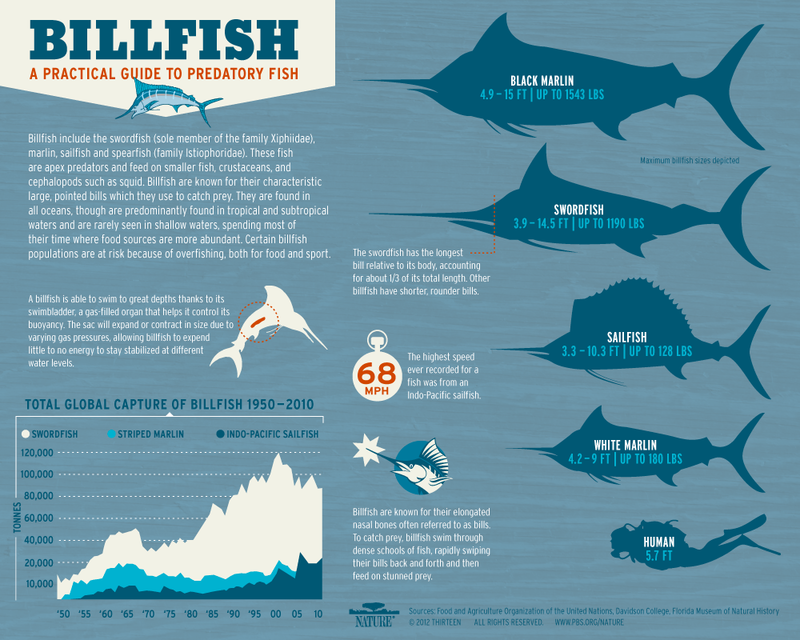 Billfish—which include swordfish (family Xphiidae), marlin, sailfish, and spearfish (all members of the family Istiophoridae)—are best known for their prominent bills which they use to catch fish, squid, and other forms of prey. What else is cool about billfish? Here’s a practical guide to the predatory fish. Designed by Karen Brazell. Produced by Kate Fulton.